Perfect Body Laser is the exclusive provider of CaviMelt™ Hot Body-Slimming Gel. 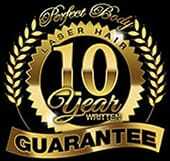 Perfect Body Laser offers it to our clients to maximize CaviLipo results. CaviMelt™ is a body slimming gel which can be massaged into the skin and is great for use with cavitation lipolysis devices such as CaviLipo, as a conductive gel. CaviMelt™ body slimming gel heats the skin and promotes circulation to the fatty and cellulite areas on the body, assisting in the lymphatic drainage and body slimming.